Coronation Buildings was a row of cheap housing built in the coronation year of Queen Victoria, 1837. Built close to several leather and gloving factories shown on the map below, it was intended for workers in these factories and, when listed in the 1841 census, was almost exclusively lived in by glovers and their families. Indeed, Heaven was the name given to the general area off Addlewell Lane containing Coronation Buildings and Victoria Buildings. It was named as such in the 1841 Census. The 1846 Tithe Apportionment noted that 'Houses & Gardens' (Parcel 463) were owned by Stuckey's Banking Company and the occupier was John Winsor. Winsor was most likely the agent who actually let the individual cottages, collected rents, etc. The Apportionment noted that the parcel measured 0a 2r 32p (for details on historic land measurement - ie acres, roods and perches - click here). The 1851 census shows six families living in Coronation Buildings but with a slightly greater diversity of occupations; five of the eight men and boys were employed in the gloving industry but there was also a printer/compositor, a carpenter and a retired Chelsea Pensioner. Five of the eight women and girls were glove workers while one was a dressmaker and one family even had a female servant. 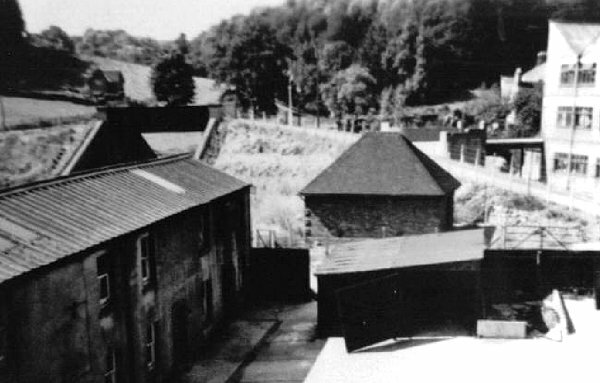 Shortly after the First World War, a leather dressing yard was built on the cottage gardens and the cottages of Coronation Buildings were converted to industrial use. Coronation Buildings finally became leather and gloving workshops of Parker, Brooks and Long. 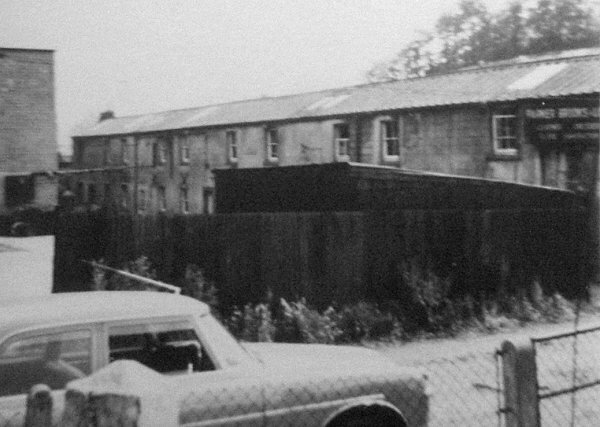 The buildings were demolished in the 1950's and Males' garage was built on the site. 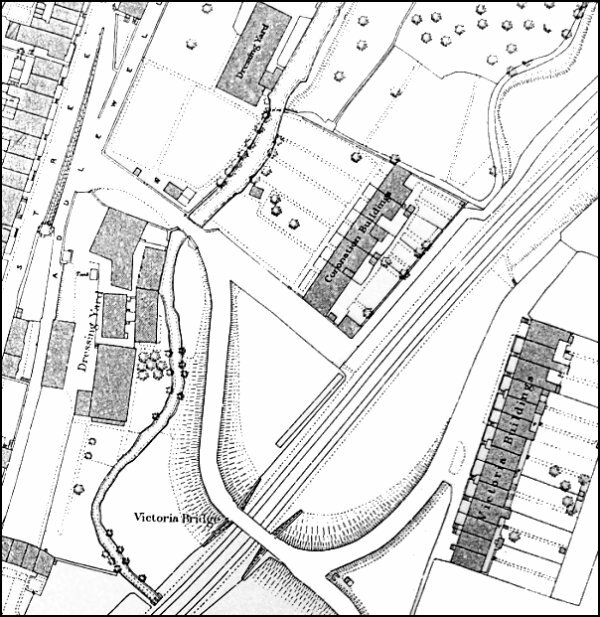 The 1886 Ordnance Survey showing Coronation Buildings just right of centre. 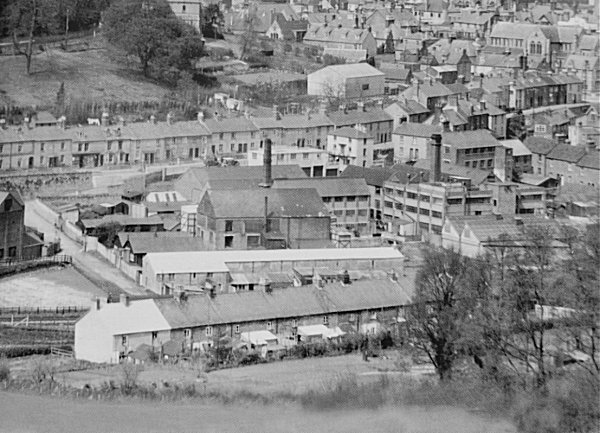 In this photograph of 1950 the rear of Victoria Buildings stretches across the bottom of the photograph, seen from the slopes of the hill behind, and Park Street runs across the top of the photograph, while glove factories fill the space in between. Immediately above Victoria Buildings is the long terrace of former houses known as Coronation Buildings but, by this time, the leather and gloving workshops of Parker, Brooks and Long. At left the dog-leg spur of Addlewell Lane runs past Coronation Buildings towards Victoria Bridge, obscured in this photograph by Victoria Buildings. The north elevation of Coronation Buildings photographed in the late 1950s by which time they were being used as the leather and gloving workshops of Parker, Brooks and Long whose sign is visible at right. The Addlewell Lane end of Coronation buildings, photographed at the same time as the previous photograph. In the background is the terrace of housing known as Victoria Buildings. The previous two photographs 'stitched' together to give an impression of the whole. Victoria Bridge, at top left, with the Addlewell Lane approach running up from centre right. 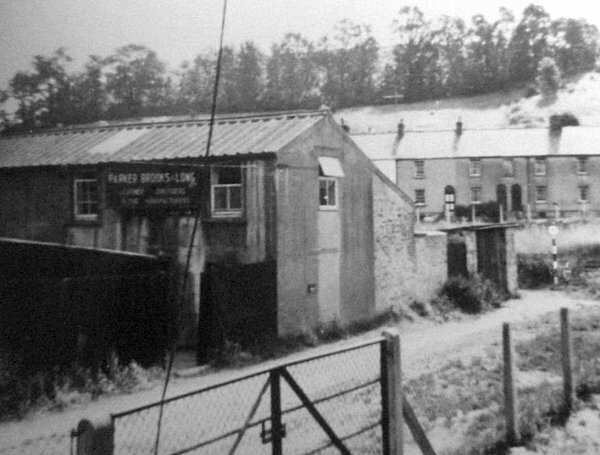 At bottom left is the former Coronation Buildings but at the time of this late 1950's photograph the glove factory of Parker, Brooks & Long.